. About Us | – Development Consultants – . 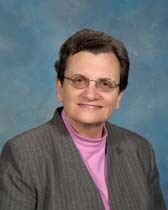 Sister Madeline Franze SSJ, CFRE is a Sister of Saint Joseph, Chestnut Hill, Philadelphia, PA. She began her congregation’s Development Program in 1988 serving as Director (1988-1992) and Co-Director (1992-2003). Madeline is certified by the Association of Fundraising Professionals (AFP) and completed the University of Pennsylvania’s Fund Raising Management program. She has served as a member of the National Catholic Development Conference Board of Directors. Madeline holds an MA in Administration from Villanova University. Before her involvement in Development, Madeline was an elementary teacher and principal. 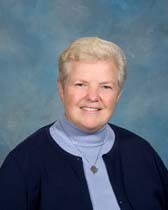 Sister Mary McFadden CFRE is a Sister of Saint, Chestnut Hill, Philadelphia, PA. She served as Co-Director of Development in her congregation (1992-2003). Mary holds an MA in Philanthropy and Development from Saint Mary’s University of Minnesota and is certified by the Association of Fundraising Professional (AFP). Before entering the field of Development, Mary obtained an MA in Biology from Villanova University and taught science on both elementary and high school levels. Coming highly recommended from a number of sources, Sisters Mary and Madeline were able to quickly determine our needs and present a concise proposal of what their consulting would entail. After an extensive assessment of our Province, provided excellent feedback to our leadership team- all along, offering advice on a variety of levels. But what really impressed me was how they handed me off to another firm, recognizing that newer needs were beyond their scope of expertise. What you get from Mary and Madeline is thoroughness, honesty, timeliness and their vast experience in development and its many components. I highly recommend Development Consultants. © 2010 Development Consultants, Inc.